When people say a car is a “member of the family,” they usually just mean it’s a treasured possession. 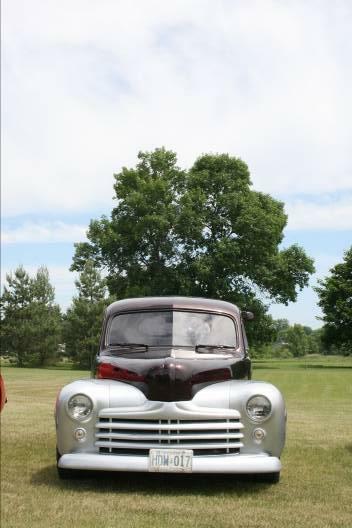 But Doug Stapleton’s 1947 Ford truly is part of the family. He and his wife Cathy took their honeymoon in it, and their sons Corey and Dustin both came home from the hospital in it when they were born. He bought the car in 1973, got married in 1975, and his sons followed in 1978 and 1981, but all of that is predated by his relationship with Motor City. He started attending meetings in 1969 and was voted in as a member in 1970. He still owns the 1947 Ford, along with a 1950 Ford coupe that he’s working to build. He still lives on his family’s farm in Orono where he grew up. By trade he is an automotive technician and millwright, although he works as a maintenance supervisor at Ontario Power Generation in Darlington. The club was considering working at the Speedsport show in Toronto around the time that he joined. “Gary Challice came to a meeting one night and said, ‘Do we want to make money? 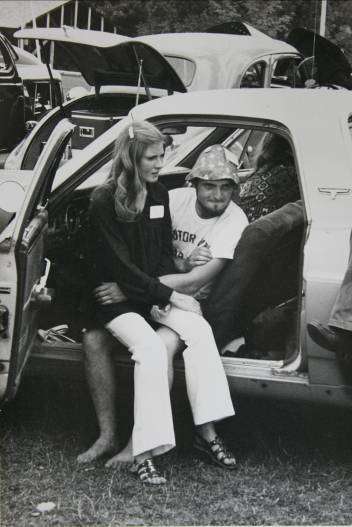 I’ve got a possible job, but it’s going to be a lot of work.’ Bruce Robertson, the promoter, had approached the car club about working the show. I think we made $500 at the first show. That was huge money to us back then, but it wouldn’t work out to a buck an hour,” he says, because the work initially began on Wednesday night and wrapped up long after midnight on Sunday. “Doing Speedsport was part of being a club member,” he says. “It was ‘all hands on board’ when Speedsport came along, because you needed everybody working, right from setup to tear down and move out. Whatever needed to be done, placing cars, setting up barriers and taping them to the floor, manning the back gate.